This past week, I spent time at both our Calgary & Vancouver offices. One of the things I noticed when walking around the cities were the amount of people wearing Blue Jay hats. There are two indicators of spring in Canada, the weather, and the Toronto Blue Jays back playing baseball once again. One of the differences between a great baseball team and a poor team is simple – the ability to identify and attract the right talent. This is same with all organizations. How good are you at identifying and recruiting the right talent? As a manager, are you having a challenging time finding great people? You may be a small brand competing against the big guys or you might be limited by the budgets that you have to get the right people on your team. The Oakland Athletics baseball team struggled with those same challenges. 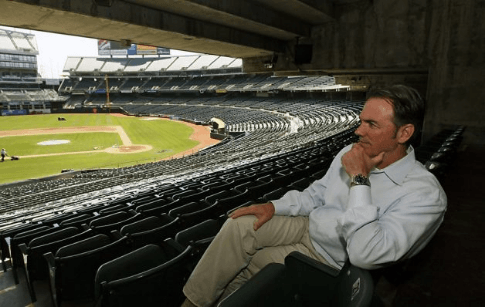 The movie Moneyball is the story of Billy Beane, GM of The Oakland Athletics (acted by Brad Pitt), who with the lowest payroll in Major League Baseball, went on to build a winning team. It is an inspiring movie and an inspiring story. We have an imperfect understanding of how to hire great people. Want to build a winning team? The new rules are less about where you went to school, what degree you have, or your GPA, level of experience. Challenge the embedded beliefs about the “right” candidate in your industry. Stop looking for the same type of person everyone else in your industry is looking for. The result? The Oakland A’s went on the longest winning streak in Major League Baseball. It’s not about winning or losing. It’s about seeing potential where others pass over. Listen to my Podcast with Gad Shaanan on how he found opportunity in an unexpected place, a can of WD-40. You can change the game. P.S. Looking for a new & exciting role? CareerJoy’s Career Search Program has all the tools you need in order to land well, from Resume & LinkedIn development, to job search, to interview & negotiation coaching. Learn how our team can support you. Get started today!